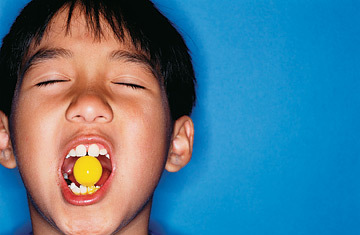 Color crazed: Some kids got revved up after consuming the amount of food dye contained in two 2-oz. (57 g) bags of candy  hardly a mega-dose. Parents have long observed that some kids go bonkers after eating foods with a lot of artificial ingredients or neon-bright colors. Medical researchers--not to mention the food industry--have been skeptical; there was no proof of this effect, at least nothing like a double-blind, controlled study.